The London Removals › Blog › Should I Hire Man-and-Van Removals? Do you know what man-and-van removals are? As the name implies, these are independent entrepreneurs who offer their services to move your things from one place to another. Unlike the bigger removals companies which usually have a fleet of vehicles and a large group of skilled movers, these man-and-van removals have only one or two moving vans, as well as a couple of movers when handling relocation jobs. â€¢ Pros of hiring man-and-van removals. Unlike hiring the services of giant moving companies, there is usually a lesser cost involved when going for man-and-van service providers. If you are moving a small office or apartment, this would be an economic solution. However, the specific amount that you need to pay still depends on the weight of the boxes and the total distance covered, as well as any additional charges billed by the man-and-van removals service provider. Given the fact that there are only one or two movers that you have to deal with, they also offer a more personalized approach to moving. â€¢ How about the cons? When dealing with small business entities, there's always a risk of their services not being up to par with what bigger companies offer. You may also stumble upon not-so-reliable movers, so it always pays to check on their references, registration and how long they have been in service. By exercising proper caution when hiring man-and-van removals service providers, the pros should far outweigh the cons and give you an affordable moving solution. 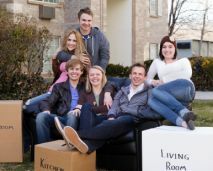 Moving to a Different Location? Why Not Use a Moving House Specialist?